Watford returned to the top of the Championship after coming from behind to beat Millwall 3-1 at Vicarage Road. Martyn Woolford had fired the visitors into an early lead but the Hornets overhauled the deficit by the interval as Matej Vydra equalised before Daniel Tozser gave his side the lead in injury-time. Slavisa Jokanovic's men were largely comfortable for the second half and made sure of the points when Gianni Munari netted the third. The players may well have been inspired by this because the match began at a relentless pace, with the visitors making the breakthrough in the 12th minute when some neat play by Scott McDonald saw him find Woolford. He stepped away from Joel Ekstrand before planting a right-footed finish past the helpless Heurelho Gomes to make it 1-0. There was no lack of effort from the Hornets as they sought to get back on terms, but they were struggling to find their usual fluidity and much of the work was either rushed or broke down due to carelessness in possession. However, the tide began to turn in their favour in the 35th minute when Matthew Briggs was booked for pulling back Odion Ighalo. From the resulting free-kick, Ighalo had a shot well saved by David Forde, and from the ensuing free-kick the home side equalised. 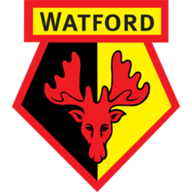 Watford worked a short corner routine which saw the ball played to Keith Andrews on the edge of the penalty area, he clipped a lovely pass over the defence and Vydra stole in to equalise from close range. 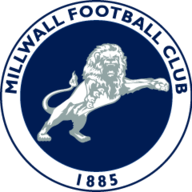 Millwall thought they should have been awarded a penalty when Ricardo Fuller went down following a challenge from Ekstrand and the visitors were left to rue another decision by referee Robert Madley in first-half stoppage-time when he adjudged Troy Deeney had been fouled by Alan Dunne on the edge of the 18-yard box. Tozser blasted in the free-kick to put the home side 2-1 ahead at the interval. Watford needed the comfort of a third goal and it arrived in the 64th minute when, following a free-kick, Vydra was set away down the left and he cut the ball back towards the edge of the area where Munari did not break stride as he lashed a first-time finish past Forde. But for a goalline clearance from Daniel Pudil, Millwall would have halved the deficit with 16 minutes remaining when Woolford's angled shot from the left side of the penalty area beat Gomes. The Watford goalkeeper also had to make a good save to keep out a Alan Dunne header late on.